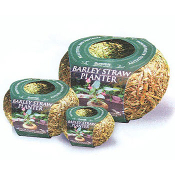 To use, simply fill hole in Summit All Natural Barley Straw Planter with any potting soil or planting media, add aquatic fertilizer, add an aquatic plant, then water until planter is soaked. 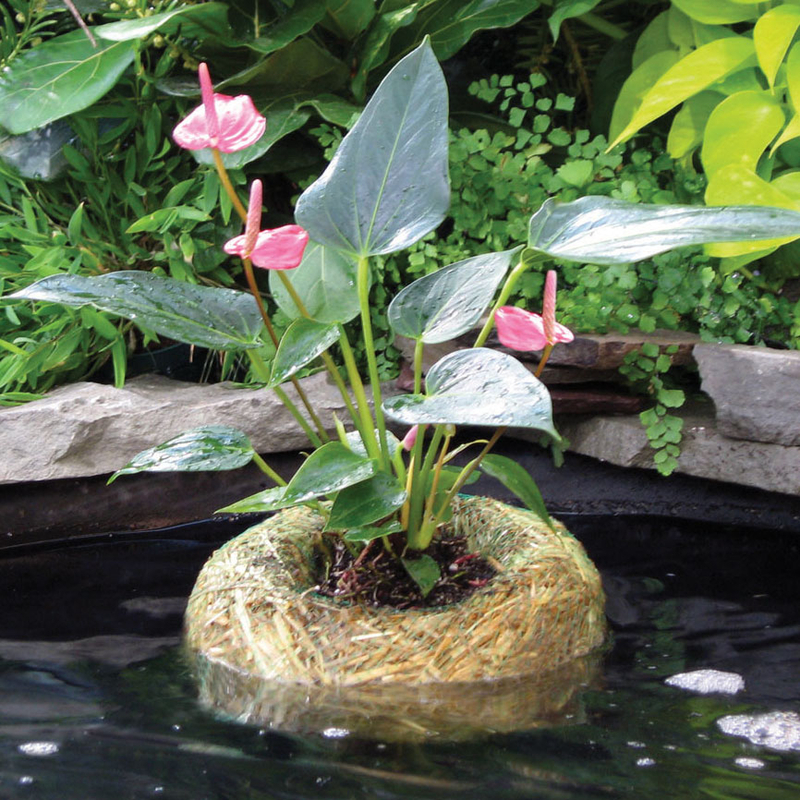 When you place the planter in the pond the planter will float high in the water for about a week until straw becomes completely saturated. Summit All Natural Barley Straw Planter improves your water quality. It acts as a natural filter, keeping the water in your pond clean & clear. Plus it continues to work for up to 6 months. What does Barley Straw do? Many packages of barley straw have been sold in the past few years and there has been a tremendous amount of feedback from customers that told us that with proper use, barley straw can lead to much cleaner, clearer water in their ponds. Is Barley Straw a form of algaecide? No, Barley Straw is not registered with the US Environmental Protection Agency as a pesticide, and therefore no claims are made regarding its use in preventing, removing, controlling or eliminating algae. This is an all-natural product, and does not contain any know pesticides, chemical additives, or even "ingredients"- it is just barley straw. As the barley straw decays in the presence of oxygen (and possibly sunlight); natural chemicals are released or produced that help clear water.